Need to stock up on food for July 4th? 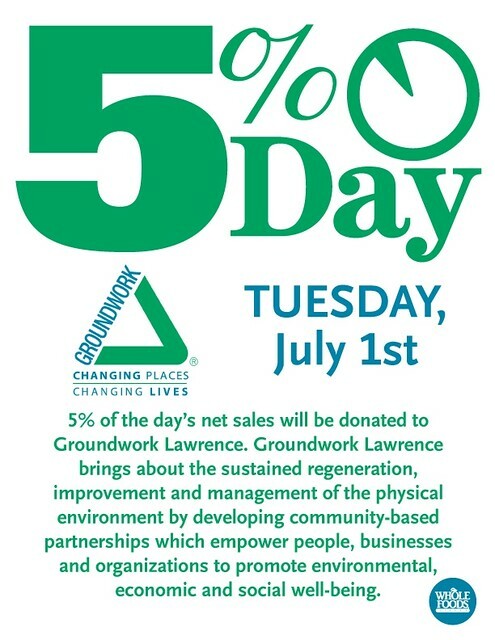 Shop at Whole Foods tomorrow, July 1 and they will donate 5% of net sales to Groundwork Lawrence! Be sure to stop by the Green Team's table at Whole Foods from 9:30-2:30 to say hello!